. 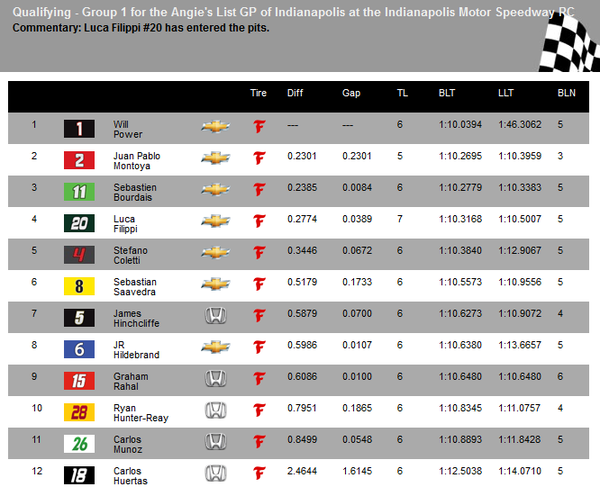 @DanicaPatrick jumps to P12 on the speed chart after her first q-run of the session. 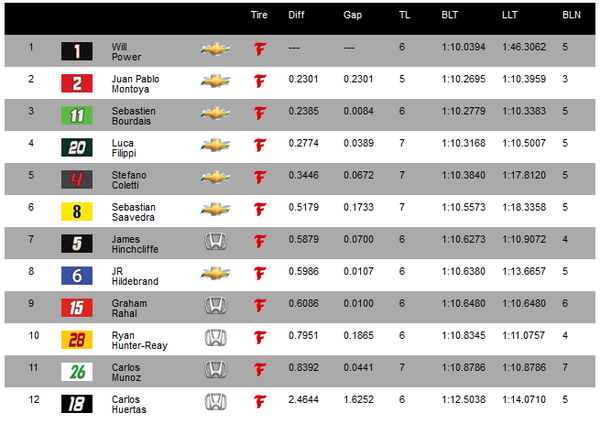 Top 6 from first session: Power, Montoya, Bourdais, Filippi, Coletti and Saavedra. 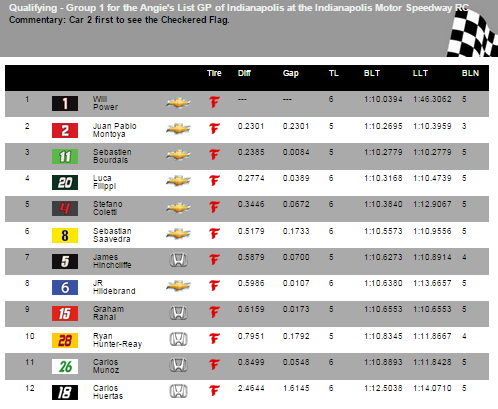 Moving on from #IndyCar #GPofIndy Round 1 Group 1 are Power, JPM, Bourdais, Filippi, Coletti, and Saavedra. 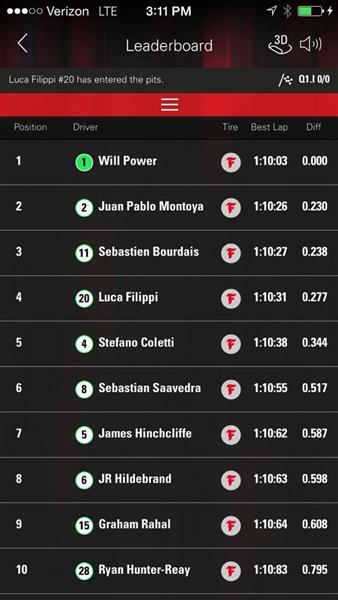 No Honda advances. 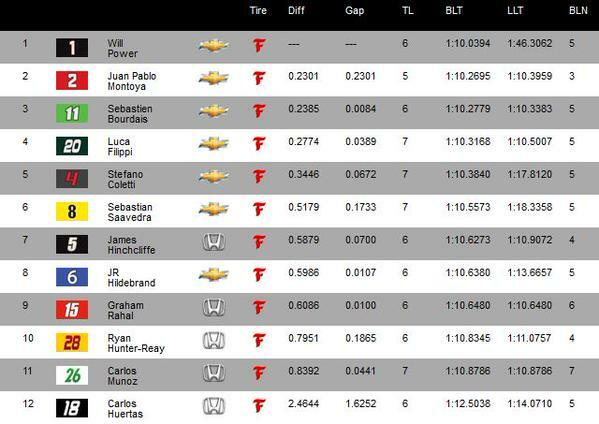 Round 1, Group 1 Results - @LucaFilippiLF finishes P4 and advances; @JRHildebrand finishes P8. 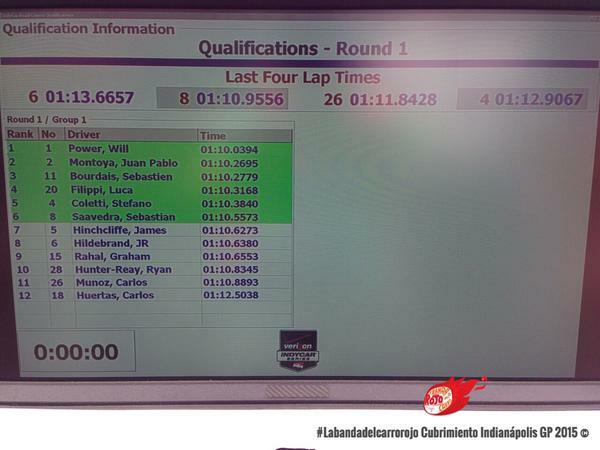 Group 1, Fast Six: #Power , #Montoya , #Bourdais , #Filippi , #Coletti e #Saavedra .